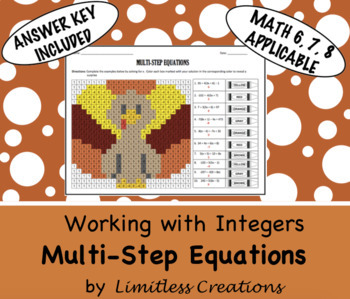 Students will work to solve multi-step linear equations. 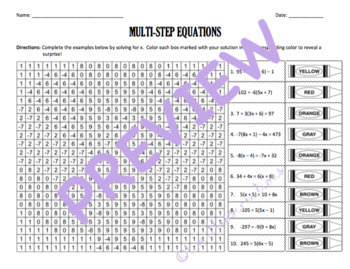 Examples will require distribution and some include variables on both sides of the equal sign. Once they have all their solutions, students will color the corresponding boxes to get a Thanksgiving surprise!